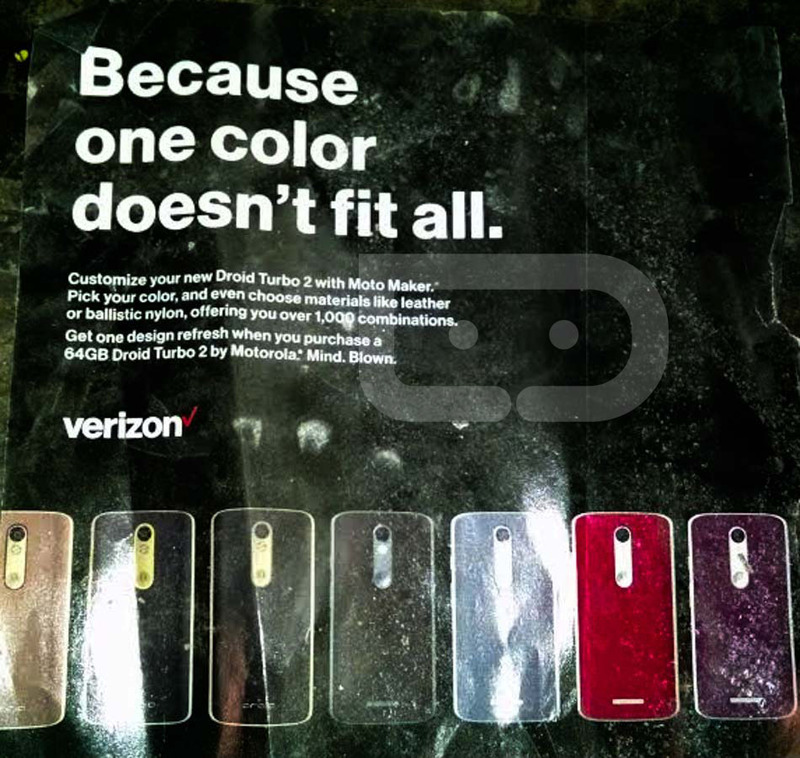 On October 27 at an event in New York City, Motorola and Verizon will announce two new DROID phones, the DROID Turbo 2 and the DROID MAXX 2. Both phones have been rumored on countless occasions over the past couple of months, but we now know exclusive details about each, including some launch promos that Verizon plans to introduce alongside each phone. According to sources of ours, the DROID Turbo 2 will indeed be marketed as having a “shatterproof screen.” This isn’t the first time we have heard this, but we can now confirm that this is a major selling point for the new DROID flagship. We still aren’t sure how Motorola plans to make the phone that tough, though, so we at least have that surprise ahead. 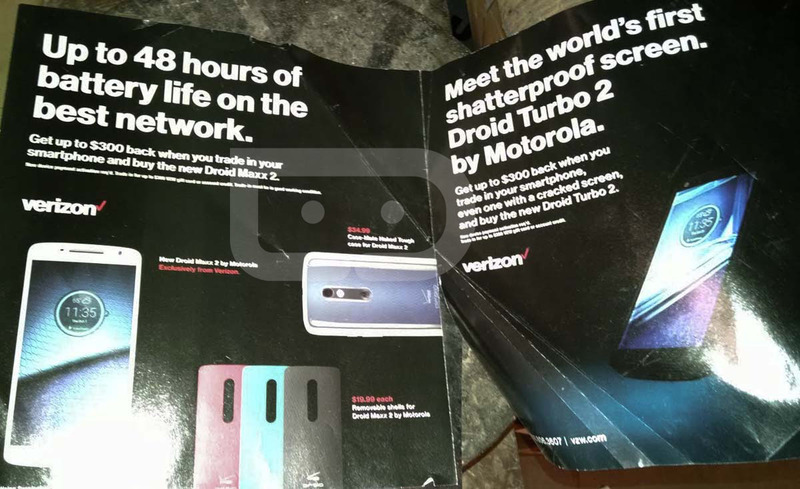 On a related note, Verizon even plans to tie the shatterproof design into a promo where they will let you trade in a phone, even one with a cracked display, for up to $300 towards your new Turbo 2 (in the form of an account credit or gift card). In terms of other major features, Verizon and Motorola have teamed up to offer Moto Maker support for the Turbo 2. Like with the Moto X Pure Edition, the Turbo 2 will have countless combinations of custom options, including leather and ballistic nylon, which was an exclusive to last year’s Turbo and a favorite texture of ours. Also, Motorola appears to be willing to do another promo related to Moto Maker, where they will let you refresh your design one time if you buy the 64GB model. As for the DROID MAXX 2, which is basically just a Moto X Play for the US, we are looking at a phone that will marketed as having 48 hour battery life. It will have some form of customization as well, through removable shells that will come in at least three colors – red, green, and black. 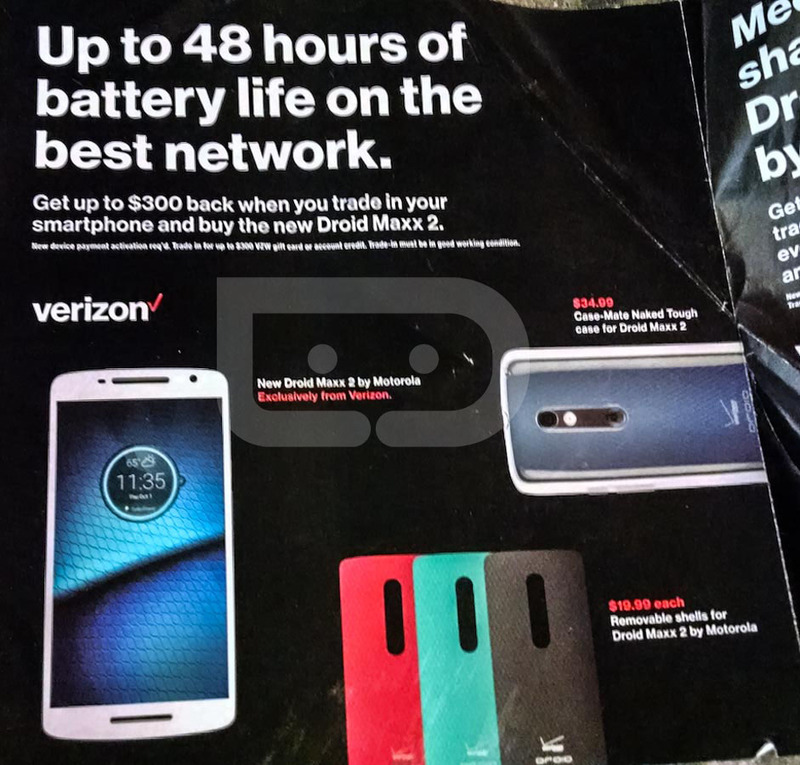 And similarly to the Turbo 2, Verizon will give you up to $300 for your old phone if you trade it in and pick up a MAXX 2. This promo doesn’t seem to have the same “shatterproof” angle, though, so you will likely have to trade in a phone in working condition. And that’s all we have to share. To catch up on the rest of the Turbo 2 and MAXX 2 stories, hit up this link and this link.